When a car stalls or no longer runs, one of the toughest decisions can be deciding what to do with the vehicle. Do you pay for car repairs to fix it, or do you try to sell it? When upgrading a vehicle to a different make or model, it can be a pain to trade the current vehicle in or haggle over a sales price with a potential buyer. Getting rid of a vehicle is never easy, unless you make the generous decision to donate it to Wheels For Wishes. Donating a vehicle to Wheels For Wishes is easy, hassle-free, and saves you time and money! Wheels For Wishes makes the most out of each and every car donation, even if a vehicle no longer runs! If you sell or trade in your car, you may have to pay for vehicle repairs before selling it, but Wheels For Wishes accepts most vehicles, no matter the condition. Wheels For Wishes either auctions off vehicles for new owners to use, or vehicles are recycled and reused to build new vehicles. This makes vehicle donation green and eco-friendly too! Not only is car donation easy, but it’s easy to contribute to the green movement. Car donation takes very little time on your part. If you have a vehicle to dispose of, all you need to do is call 1-877-431-9474 or fill out an online car donation form. One of our experienced vehicle donation representatives will contact you within the next 24 hours to schedule your free vehicle pick-up or tow. At no charge to donors, vehicles are picked up or towed from nearly anywhere in the United States. Whether you live in Columbia, South Carolina, Newark, New Jersey, San Francisco, California, or Kansas City, Missouri, your vehicle will be picked up or towed away at absolutely no charge to you. Just find your local chapter, give us a call or fill out our donation form, and let us know where we can find your unwanted vehicle. Vehicle donation is quick, hassle-free and it even saves you money. Instead of wasting money on a vehicle that rarely gets used, a vehicle donation gets you the highest possible tax deduction for your vehicle donation to charity. We are a fully registered IRS 501(c)(3) nonprofit organization, which gets you the maximum possible tax deduction for your car donation. For more information about your charitable tax deduction, please visit our Tax Answers page. Our donation representatives can also help you with any of your donation questions, so please don’t hesitate to ask. In most cases, a title is needed in order to make your vehicle donation. Just give us a call to see what the requirements are in your state. You may also wish to check out our 2014 Guide To Donating Your Car To Charity. While car donation is easy and beneficial to you, it also helps to grant wishes for local kids in your community. Wheels For Wishes benefits Make-A-Wish and helps to grant wishes for kids with critical illnesses between the ages of 2½ and 18. 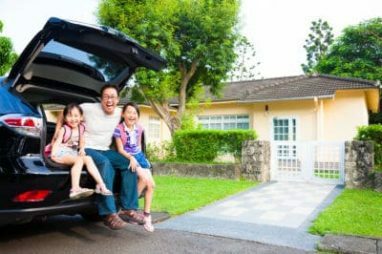 When you donate a vehicle, not only will it contribute to the green movement, get you a great tax deduction, and provide you with an easy way of disposing a vehicle, but it also benefits a local child. Wheels For Wishes makes vehicle donation so easy. All you need to do is give us a call and leave the rest up to us. Call us today and see just how easy vehicle donation can be!